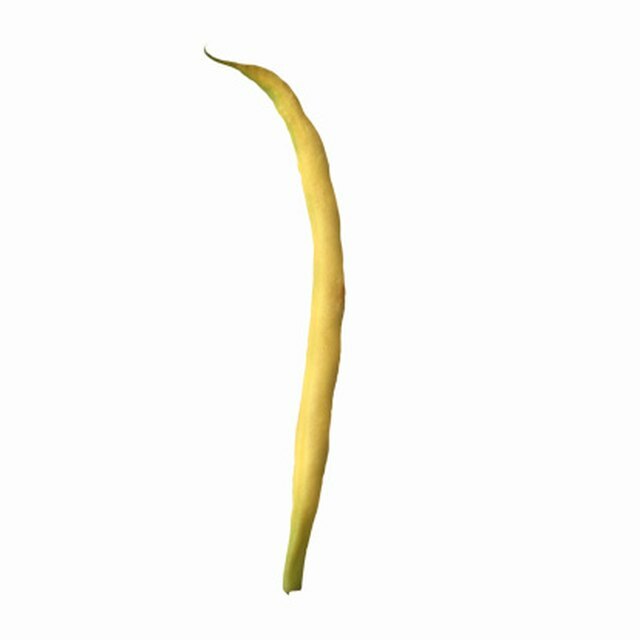 Wax beans, also known as yellow beans, are a tasty, nutritious vegetable, low in calories and rich in vitamins A and C. The flavor of wax beans is only slightly different than green beans, and the texture is the same. 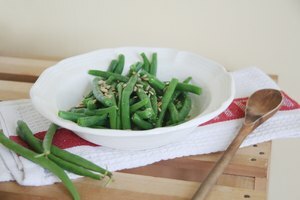 The cooking technique is identical for both green beans and wax beans, and both are used interchangeably in recipes. Like green beans, you can incorporate wax beans into salads, casseroles, stir-fries, soups and stews, and you can cook the beans by boiling, microwaving or steaming them. Place the beans in a bowl of clear, cool water. Swish the beans in the water until they are thoroughly clean. Alternatively, wash the yellow beans under cool, running water. Remove each end from the wax beans. Snap the ends off the beans, or remove the ends with a paring knife. 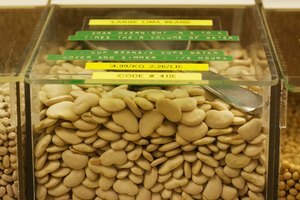 Cut the beans into 1- to 2-inch lengths, either straight across or diagonally. Wax beans can be cooked whole, but cutting makes them easier to eat. Decide on a method of cooking the beans. To boil wax beans, bring a pan of water to a full boil. Drop the beans into the water one handful at a time so the water maintains the boil. Place a lid on the pan, then allow the beans to boil until they reach the desired texture. 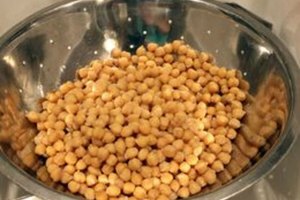 Cook 3 minutes for crispy beans, or up to 8 minutes if you like softer beans. To steam wax beans, place about an inch of water in a saucepan that fits a steamer insert. Bring the water to a full boil. Put the wax beans in the steamer basket, then place it over the boiling water. Steam for 5 to 10 minutes, depending on the desired level of tenderness. To microwave wax beans, place the beans in a microwave-safe cooking dish. Add 1/4 cup of cool water for every pound of wax beans. Cook the wax beans on high for 3 to 7 minutes. To stir-fry wax beans, cut them into pieces approximately 2 inches long. Pour a small amount of cooking oil into a wok or stir-fry pan. Use 1 teaspoon of oil for every cup of wax beans. Stir-fry the wax beans until they are cooked to your liking. They usually are ready in 2 to 5 minutes. Remove the beans from the hot oil..
University of Maine Cooperative Extension; Green Beans and Wax Beans; Nellie Hedstrom, et al.